This is a round Cosden Liquid Gas porcelain sign. 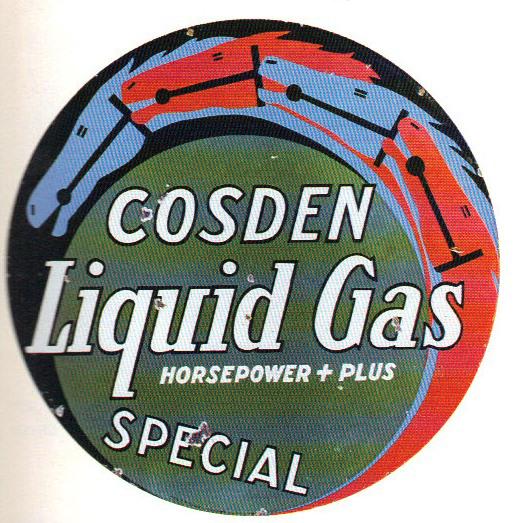 This particular Cosden Liquid Gas sign is predominantly green with four red and blue horses along the top. It reads, “Cosden Liquid Gas, Horsepower + Plus, Special” and features white text.